For people living in Glasgow, Eco Efficient is the company to call when you need any boiler related service. Not many companies can offer these services at our level of satisfaction thanks to the many years of experience that we have. Our people have been properly trained on various aspects of the job and this is why we are able to promise our customers a high quality and satisfactory experience when they choose to work with us. We are able to provide our services to both commercial buildings and residential buildings and many people in Glasgow are now turning to us for their boiler needs. Boiler servicing is one of the main services that we offer people in this area. Regular servicing of boilers is very important and many homeowners have become more aware of this. When your boiler is properly serviced on a regular basis, you will benefit from a longer service life and you could also spend less on your heating bill due to more efficient operation. Leaks, explosions and other such issues are also less likely to occur when a boiler is being serviced regularly. At Eco Efficient, we don’t just provide high quality boiler servicing, we also have a very affordable payment plan. Even when your boiler has been receiving regular servicing, it’s impossible to guarantee that nothing will go wrong. This is why you should also have a company that you can turn to for boiler repairs. Some of the issues that we regularly address that need repair include boiler not running, fuel and water leaks, funny noises during operation etc. Our boiler repairs service is well equipped to handle such issues and our service vans also have spares for certain parts all the time. This ensures that any repairs can be implemented on the first visit. 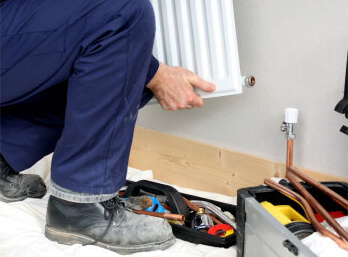 Our boiler installation service has served many people who are looking to put in a new boiler in their building. When your boiler has been properly installed, you will have much less to worry about with regard to poor running, repairs and other issues. Accidents such as explosions are also less likely to occur when a boiler has been professionally installed. We install most major boiler brands and models so you don’t have to worry about something being beyond our capabilities. We also have the right equipment to ensure that the jobs gets done effectively. When you have a boiler in your house, gas and boiler leaks are some of the biggest issues you may have to deal with. 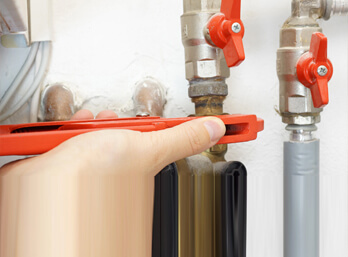 Loose or worn pipe fittings, blockages, excessive pressure and other issues can all lead to a boiler leak. A leaking boiler is a problem because the water can cause other parts of the boiler or other machines to rust and the water can also damage other items in your home such as a carpet. A gas leak presents an even bigger problem since this can quickly cause an explosion. You should get in touch with Eco Efficient as soon as you suspect that there’s a leak in your boiler. Our people will handle the situation with urgency so your house can be protected. 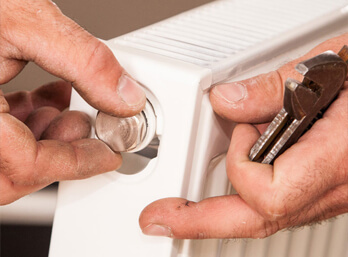 Our central heating installation service is also quite popular especially when winter approaches. This is the time many people want to ensure that they replace their old system if it’s no longer working as it should. Without a properly running central heating system, it’s very difficult to be comfortable inside your home during winter and you may also spend a fortune on energy bills. Instead of having to suffer through all this, you can easily get in touch with us. You may spend a lot of money on energy if your central heating system has an issue such as worn out parts, leaks, blockages etc. This is because these problems cause the system to work harder and therefore use up more energy. In such a situation, our central heating repairs service can be the godsend you need. We can take care of many of these repairs in a very short time whether it’s an issue with the boiler or other parts of the system. Because our experts are registered with Gas Safe, you can take confidence in the fact that they’ve received the industry standard training to handle systems that are fuelled with highly combustible gases such as boilers. This is important not just because it’s required by law but because it will ensure you’re safe and that you don’t waste your money on low quality services. You can reach out to us through our website if you need more information or a free quote. You can also call.